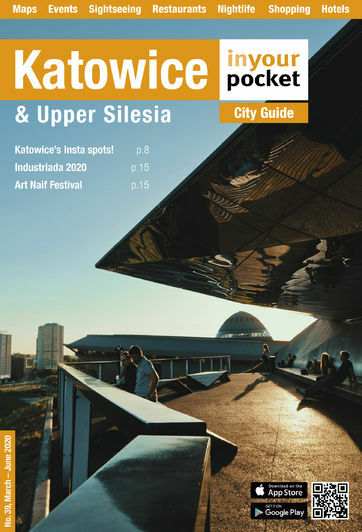 Katowice, despite its architectural and cultural renaissance, cannot be described as a top tourist destination like its neighbours Kraków and Wrocław. However, the city, and indeed the entire Silesian Metropolis continues to add interesting museums and attractions to a growing list of eclectic and downright odd sites that make this city absolutely unique. Nope, you won't find a castle, or palaces, uh, no, no ancient ruins. No Old Town per say. But what you will find is a boatload of Industrial Tourism that will literally take you underground, and a host of cultural events in the UNESCO city of music. After years of languishing, Katowice has undergone a massive renovation and revitalization project that resulted in a literal face-lift and a heart transplant of the city centre. Though there is building work still going on here and there, we finally see the dawn of a new and improving Katowice. Unlike other urban casualties (hello to our friends in Warsaw), the city can't claim to have been beaten by the Ugly Stick during World War II. No, Katowice was born with that heirloom in its hand and the Nazis probably snatched it from here as they rumbled east to the capital. And while the Soviets returned with it after the war, destroying many of the buildings on the Rynek in the 1950s to make room for their modern monuments to concrete, it was predestined that Katowice would never be belle of the ball. A blue collar city to this day, Katowice and its neighbours in Upper Silesia were born into the working class, growing up during the industrial revolution and put to work in sooty mine shafts, factories and railway yards. The area's history is inextricably entwined with the manufacture of coal and steel and the stacks, shafts, slag heaps and massive waves of migrants that followed the discovery of the region's mineral resources. As such, any mention of tourism in the district is usually preceded by the word, 'industrial.' Indeed the derelict factories and foundries, blackened chimneys and abandoned maintenance yards of Silesia's industrial boom represent the bulk of Silesia's tourist offerings, and the region is ripe for renegade tourists eager to explore evidence of a bygone era. We cover dozens of these sites in our guide, but those with a special interest in industrial tourism should also get their hands on a copy of Silesia's Industrial Monuments Route - a brochure map which can be picked up free of charge in any Silesian tourist information office. Katowice, for its part, has become a growing business and cultural centre in the post-communist era. Although there was a time, not long ago in fact, when being a tourist in this town was a very strange and lonely enterprise, times have very much changed. Today Katowice's city centre is packed with modern architecture, and filled with cafes, restaurants, pubs and clubs to match all tastes. Those seeking more conventional interpretations of the word 'attraction' will find plenty of cleaned-up 19th century architecture in the form of handsome townhouses in Downtown Katowice, particularly along ulica 3-go Maja between the Rynek and Plac Wolności. One of the best museums in southern Poland is the Silesian Museum, on the site of the former Katowice Coal Mine, which today forms the city's Cultural Zone. Outdoor types can visit the fantastic Valley of Three Ponds, featuring everything from beaches to cycle paths, or head over to Silesia Park, which is packed with family attractions (including an amusement park and zoo), and offers great views via the Elka Cableway. Finally, shutterbugs should visit Nikiszowiec for its offbeat art, architecture and photo ops galore. Much of Katowice's charm is in its complete non-conformity to the standard template for European tourist destinations (castle, town square, riverfront, etc.). We hope you embrace the city for its curiosities and enjoy yourself, and the next time you hear negative opinions about Katowice, you set the record straight.